…is worth a heck of a lot more than $600; you can hail a car, trade stocks, call your mom, all without being chained to a desk. The Ford Foundation vows to fight inequality but will have a hard time beating Henry’s example. On June 11, the $11 billion Ford Foundation announced that it will pour its resources—about $500 million in giving a year—into fighting inequality. “We are talking about inequality in all its forms—in influence, access, agency, resources, and respect,” Darren Walker, the charity’s president, wrote in a letter. Oh, the irony. I won’t join the public intellectuals having hissy fits over how people choose to give away their money, beyond being annoyed that since the Ford Foundation is tax-exempt, we’re all subsidizing it. Here’s the real problem: The foundation is getting exactly backward what its namesake, Henry Ford, understood. Society benefits from making, not giving. The bulk of the Ford Foundation’s assets came when it received 88% of the nonvoting shares in the Ford Motor Company, most after Henry Ford died in 1947. Ford hated inheritance taxes, then a punitive 70%. In 1956 Ford Motor went public at $3.2 billion. Most of the shares sold were from the Ford Foundation, about a quarter of its holdings. The foundation’s charter stated the money should go “for scientific, educational and charitable purposes, all for the public welfare.” How times have changed. This story matters because people have lost sight of where foundations got the money they’re donating. Ford Motor was worth $3 billion 60 years ago because it was profitable and investors had high expectations, not because the company raised wages to $5 an hour, a popular myth. 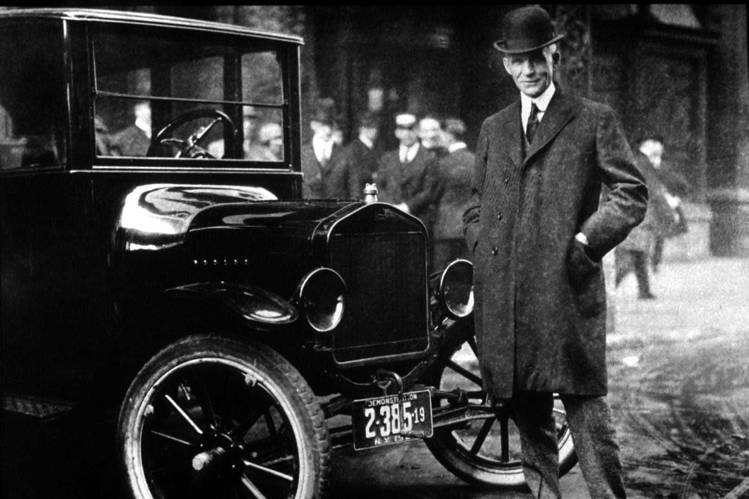 Ford Motor was profitable because Henry Ford created scalable assembly lines, reduced the cost of the Model T to under $300, and sold 15 million of them. Model Ts made millions of businesses and workers more productive and created that “public welfare” that the Ford Foundation struggles to achieve. Ford Motor created wealth for society, as well as for Henry Ford, and you can’t do the latter without the former. Think about it: No one would invest $300 in a Ford unless he thought that he could make at least that much using it—to deliver milk, to get to work, whatever. At least 15 million drivers made that choice, and the rest of Americans benefited from cheaper milk and Corn Flakes. In other words, the Ford Motor company increased living standards, and as a result its owner became fabulously wealthy. This may have increased the perception of inequality, yet everyone was better off. The Ford Foundation plans to focus on six areas of inequality: civic engagement and government; creativity and free expression; gender, ethnic and racial justice; inclusive economics; Internet freedom; and youth opportunity and learning. Hard to argue against all that namby pamby. But none are productive, none drive profits, and none will achieve the huge leaps in public welfare that Henry Ford pulled off so long ago. At the end of the day, there are only four things you can do with your money: You can spend it, pay it to the IRS, give it away or reinvest it. Consumption is on the receiving end of productivity—furthering personal instead of public welfare. Government spending is by definition not productive, as you realize every time you step into a DMV. Same goes for charitable giving—no profit means no measure of value or productivity. And so the most productive thing someone can do with his money—the only thing that will increase living standards—is invest. If the Ford or Clinton foundations really wanted to help society, they’d work on lowering barriers to business formation and cutting the regulatory chains that inhibit productive hiring in the U.S. and globally. But what fun is that? Better to boast about reducing inequality, public welfare be damned.